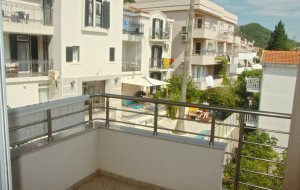 1 bedroom apartment with fabulous sea view located in adorable resort of Petrovac. The apartment is based in building with outdoor swimming pool. 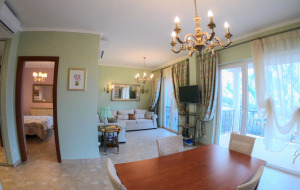 The apartment comprises living room with kitchen, bedroom, bathroom and terrace. The terrace opens on amazing view over the sea. The property is fully furnished and ready to move in. 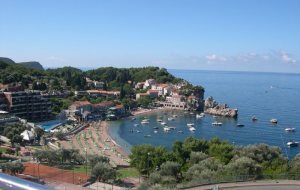 Lovely small seaside resort of Petrovac is located in close distance to the international airports of Tivat and Podgorica. 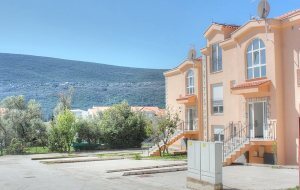 The city is located in a cozy bay surrounded by mountains and olive groves. All the city's infrastructure: a supermarket, post office, bank, bakery, restaurants and coffee shops, a hospital, a school, a kindergarten, a stadium, SPA-center, beauty salon are in walking distance. Beautiful sand beaches are located nearby.